It’s Chelsea. And if there’s one thing to tear me away from my beloved garden, this is it. It’s almost impossible to describe the pure magic of it. At 7am this morning the sun was shining over the Royal Hospital and there wasn’t a place in the world I’d rather be. But this year hasn’t been quite as predictable as normal. I’d done my homework and headed straight for what were to be my favourites: Sarah Price’s M&G Garden and Tom Stuart-Smith’s The Weston Garden. Two outstanding designers that would surely steal the show. 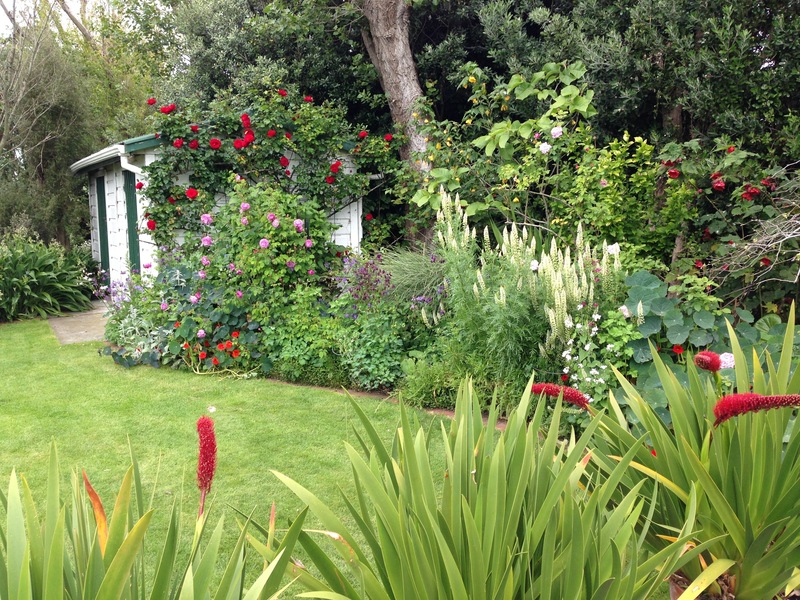 And yes, both Sarah and Tom had produced wonderful gardens. But actually, as I explored further, it turned out neither were to be my favourite. Two very unlikely gardens captured my imagination this year. One with an enormous, brightly coloured mural and another with an underwater theme, highlighting the impact of plastic on our oceans. These are not the type of gardens I like! The Supershoes by Laura Anstiss, represents the charity by the same name, which helps support children with cancer. A very worthy cause, of course, but do I usually like these gardens? The colours, the details and the very passionate spokesperson brought this garden to life for me. It goes to show that gardens are more than just visual things. You connect with gardens for all sorts of reasons and this one stayed with me. The Pearlfisher Garden by John Warland was just so very, very clever. You really felt you were underwater. The choice of plants used to represent the ocean conjured all the shapes and textures and colours of the deep blue sea. It’s great to see someone using such imagination to present a garden so fun and visually effective; a garden with a call to action that has flair and brings engagement with the plants, as well as with the message. But it’s still fair to say that the big show gardens were still the biggest drawcard for me. And it was the gorgeous Jo Thompson’s that stole my heart this year. Yes, it was visually stunning, with the best planting of the show, in my opinion, but I’m sure I also connected with it in part, because Jo always shows such warmth and humility. You feel the garden was put together with that warmth and love and it makes you even fonder. I’ll review each of the show gardens in turn in a separate post, but Jo’s delicate, yet not overly-pretty flowers, the lush shady greenery, the exquisite hard landscaping and unusual structure, all came together to produce something very special, to my eye. Whilst Sarah Price’s garden was fabulous and her plant selection to die for, the layout of the garden didn’t quite work for me, and the planting density didn’t quite hang together. Of course, I’m being super picky, but if there’s one time we’re allowed to be picky, I think it’s at Chelsea! And Tom’s garden was clearly the work of a great designer. Yet it didn’t quite spark for me and the fact that it was in the Great Pavilion meant that all important sparkling of light through the foliage was missing. Everything under cover seems to lack life and dynamism for me; a bit too static and staged. Other stands that caught my eye in the Great Pavilion – light or no light – were the dancing (or at least revolving) peacock and Floral Fundamentals’ exquisite flower balls. I was also educated by the Hardy Eucalyptus stand; who knew how many gum trees would grow in this country? I’m always a sucker for Australian plants. And were there any trends this year? Well, garden design doesn’t really change by the year, however much magazines like to tell you they do. And thank heavens for that, or we’d never grow things to our satisfaction without having to rip them all out again. But things evolve over the years, and the naturalist, wild, ‘local’ type of planting only seems to be getting more and more popular. Which makes me feel very happy. It’s definitely where I’m at right now. In fact, one garden that did bring a smile to my face was the Welcome to Yorkshire Garden by Mark Gregory, with its nettles growing under the hawthorn. I have pulled more nettles this year than I like to think about and it was a nice reminder that just a few, well-positioned nettles can actually look just fine! Getting to the point of ‘few’ is the challenge ahead of me! And were there any themes in terms of the plants used? Well, there were the usual lupins and irises, salvias and geums, but two plants really jumped out at me more than any other this year. Poppies and euphorbias. Poppies of every imaginable type were present, almost ubiquitously throughout the show gardens, working so well with the naturalistic styles. They give a feeling of chance, of nature, with their ephemeral way of popping up where you least expect them. And when the light comes through, their delicate, translucent, paper-thin petals simply glow with expectation and the hairs on their stems make the hairs on your arms stand on end. The buds and the seed heads being just as attractive as the flowers themselves and the foliage providing bulk and texture; such a very special group of plants. Euphorbia, meanwhile, was out in full force. So many different types to be seen, from the acid yellow colours to pale greys and pinks. Again, providing such great textures to any planting. And whilst poppies equal ephemerism, I think Euphorbia equals tough, drought-tolerant self-sufficiency. Both giving the impression that man hasn’t exerted too much control or influence over the garden. The RHS’s own garden this year is called the Feel Good Garden. I was lucky enough to sit next to the RHS’s Head of Science, Dr Alistair Griffiths, at my graduation lunch, who is clearly super passionate about promoting the effects of gardens on well-being; a subject very close to my heart, too. Designed by Matt Keightley, whose work I really love, it had very pretty planting, using Pittosporum in place of Buxus for its structure; something that would work particularly well in many parts of Australia. All in all, the Chelsea Flower Show this year is another wonderful, wonderful collaboration of horticulturists from near and far. There’s nothing quite like it when it all comes together in one place and for the next few days I’m going to be glued to the Royal Hospital and glued to my computer, as I soak it all in and relive it over and over again! I feel exactly the same as you about Sarah’s garden. And I don’t think it’s strictly sniping, as we both agree she is extremely talented. But this is Chelsea and we hope for so much. There are a lot of big structures there, although I’m trying to figure out if that really is unusual for Chelsea, or not? I’d be interested to know your views of which gardens you do like best when you have seen pictures of them all. Each one is so gorgeous: can’t imagine soaking it all up in a day! I do think Jo Thompson’s looks fabulous…but then they all do. Many thanks! It is quite overwhelming and very exhausting…but all in a most marvellous way! Glad you enjoyed the photos. Lovely to read your comments, Janna. Ill be there with a tour group tomorrow, so it is interesting to hear your views and Ill look forward to seeing if I concur! Would love to know!! And would also love to bump into you – would be great to say hi. I will be there tomorrow, so I’ll look out for a group of Aussies?? Have you seen the South African exhibit yet? There will be plants there that you won’t even know existed. Visiting Chelsea Flower Show is still on my to do list! Funnily enough, I think I must have been writing about the South African garden as you wrote your comment. It is indeed fabulous, although not quite as good as South Africa itself. I was completely blow away by the Cape when I visited last year. Thanks, Kim! Hope you are well. Looks like you had a great time Janna! The only comment I would make is the use of Pittosporums – the small varieties are great especially ‘Golf Ball’ and ‘Hole in One’ as naturally rounded, almost carefree, species; larger species though get out of hand here and it is only the disciplined few that keep them in check. 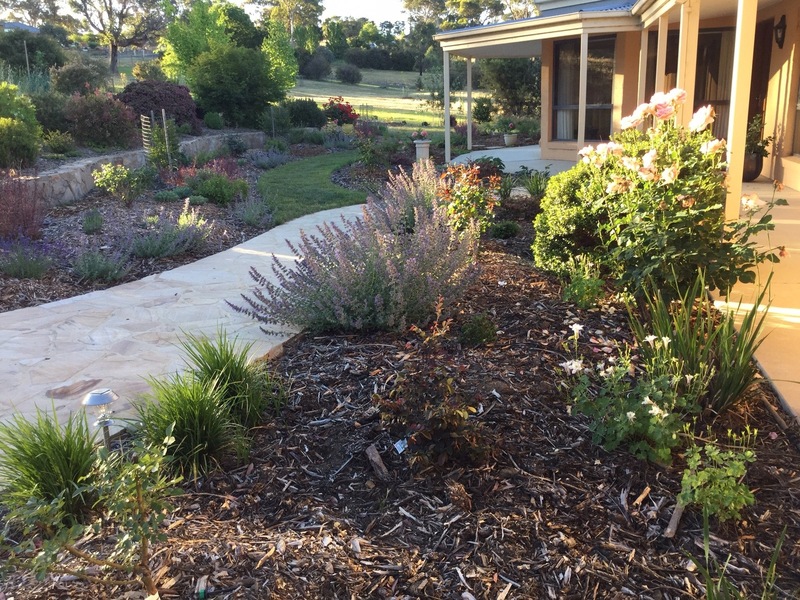 Loved your descriptions of the gardens Janna – have a great summer in your gorgeous garden. Indeed, you do need to pick the ‘right’ Pittosporum!! Can’t wait to hear which of the show gardens jumped out at you (or not, as the case may be). I really enjoyed blogging about them as it made me stop and think about each in turn. They really are all a joy in different ways though. How lovely to read your descriptions of Chelsea. It made me feel as if I were there. I love the look of that underwater one; the scourge of plastic in the ocean is a cause close to my heart at the moment. And those poppies! I am immediately going to go outside and scatter the poppy seeds I have saved from last year. The underwater one was fabulous – I was really pleased to see it got Gold. And model’s dress was made out of plastic picked up on Brighton beach. You must be very away of all the awful things we are doing to our planet at the moment. Have fun with your poppies though – they are always such a delight! Great blog about this year’s RHS Chelsea, Janna. After reading your blog post and other blogger’s posts I really wish I’d gone now. Oh well, not to worry. It sounds like this year’s Chelsea was the best one in a while. Hampton Court is coming up soon too.